Building a new network for your growing business? Want to add a wireless router to your house? 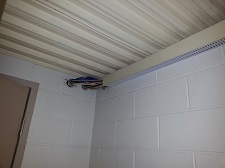 need new network cable or a wireless access point? At The I.T. Guy we do it all from pre-sale, design, installation and configuration. We only use the best hardware for your needs and the highest quality cable and connections. 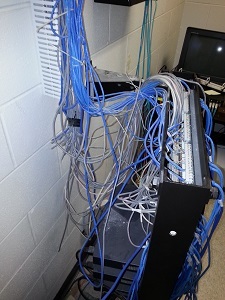 We have over 10 years of cabling and network experience guaranteeing your network will work flawlessly. The I.T. Guy, Inc, specializes in infrastructure cable instillation be it new , re-wire, additions or retrofit, we have the cablers to do it all. 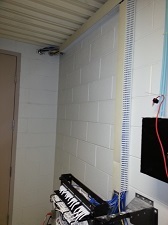 We can add network drops to your existing network either in wall or surface mount, We can rewire your entire office or building to bring your intranet speed up to today’s high speed standards. We certify our cable runs and guarantee connectivity. 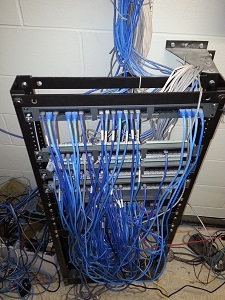 we use top of the line Cat 5 or Cat 6 cable, patch panels, RJ45 ends to patch cables, keystones and face plates for in wall installations or wall mount surface biscuits The I.T. Guy, Inc. is your network build team. 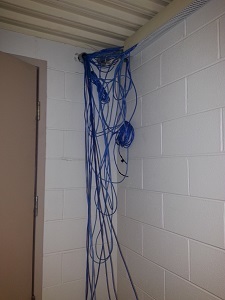 Is your Server room a disgrace? 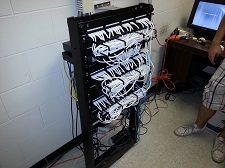 Fear not, our professional cable and network team can come in and rack and stack all components in your server rack, labelled and cable managed to give your server room a clean, professional look and organization. we provide a detailed printout of all locations and numbers for all patches and ports for all panels, switches and access points. The I.T. Guy, Inc. will get your server room shaped up. Call us today for all your networking needs.